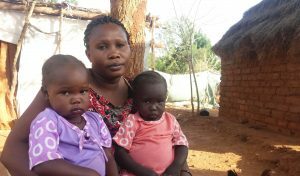 During one of the worst aerial bomb attacks against the rebel-controlled areas in the Nuba Mountains, Awatif Ali Mohammed was very pregnant. 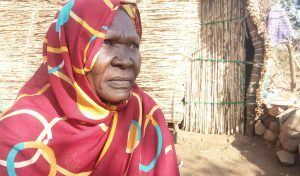 Sudan government warplanes had bombed over 750 civilian targets in late 2014 and Awatif had miraculously given birth while evading the shrapnel and mayhem around her. But a neighbor to Awatif was not so lucky. The young neighbor, a girl still in her teens named Fatima, had given birth a month later but had died after losing too much blood. Now Awatif raises her child as if it were her own. Pregnancy related deaths are extremely high for women in the Nuba Mountains, South Kordofan State. A joint research effort by the UN and the Sudan government in 2006 put South Kordofan’s maternal mortality rate at 503 per 100,000 live births. 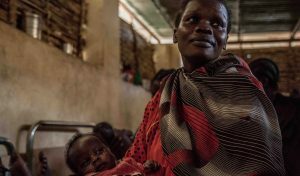 The rebel government’s Secretariat of Health in the Nuba Mountains estimated around 350 women died in 2016 from pregnancy related issues. 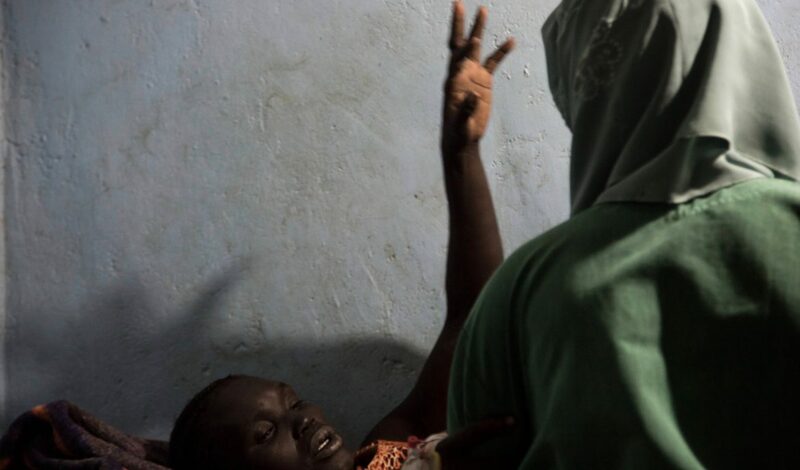 According to a new report by Human Rights Watch (HRW), “No Control, No Choice,” Nuba women have little or no access to adequate medical care or contraception—leaving them unable to control the number and spacing of children and exposing them to serious health risks, even death. The six-year long war is largely to blame. 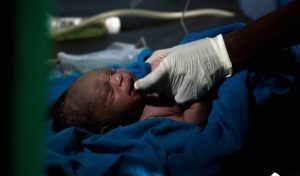 The conflict has severely blocked medical access for pregnant women in the Nuba Mountains, impelling mothers to conceive without access to antenatal or emergency obstetric care—jeopardizing their lives and their children’s lives in the process. During the same year Awatif gave birth, Sudanese forces bombed five major medical facilities in 2014. The rebel Health Secretary Tutu Turkash says around 24 medical facilities have been damaged or destroyed in bombing raids since the war began in 2011. Unresolved promises of autonomy following South Sudan’s secession from Sudan triggered the rebel group, the Sudan People’s Liberation Army-North (SPLA-N), to rebel against Khartoum in September 2011. The civil conflict has officially closed South Kordofan and Blue Nile states to external humanitarian aid, with the two warring parties continuing to disagree on the modalities of aid delivery. There are only five doctors and two fully functioning hospitals for roughly one million people in the Nuba Mountains. The rebel movement has roughly 175 clinics across the area but these outposts are frequently run by volunteer nurses or community health workers who often have no or basic training, HRW reports. There are no obstetricians or gynecologists in the rebel-held area. For women facing pregnancy-related complications, the only solution is to reach one of the hospital facilities and this can mean walking for days. Sudan forces have routinely targeted farming areas throughout the conflict, including the occupation of two major agriculturally rich productions areas. According to the South Kordofan-Blue Nile Coordination Unit, an organization that monitors food security and displacement in the two areas, at least 23 agricultural areas in the Nuba Mountains are inaccessible due to conflict or proximity to unstable front lines, seriously affecting food production. In some areas food stores are now fully depleted and people are subsisting on wild foods and handouts where possible. Social customs such as early marriage jeopardise women’s reproductive health further. Marriages are often carried out with girls at 12 to 13 years of age, says Dabuka Fadul, the general director of the Secretariat of Women and Child Affairs within the rebel government. In many cases, he adds, girls are married as a business process to help support the young bride’s family. Mando has recorded 49 girls had given birth under 14 years of age in Um Dorein County alone last year along with 200 marriages with girls 13 years of age. The World Health Organization says girls between 15 – 19 years old often face complications during pregnancy with childbirth being the second leading cause of death for this demographic. Mothers like Zakia are often unable to make space between births since contraceptives are extremely limited. Out of the 25 women HRW interviewed, 12 did not know what a condom was and another three knew what they were but had never seen one. The largest hospital and main health center, the Mother of Mercy Hospital in Gidel, is run by Catholic providers who not provide contraception. 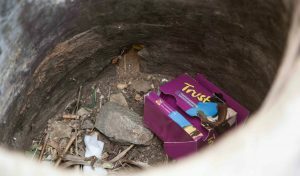 Even when contraception is available, local cultural norms dictate that women must first get the permission of their husbands to access family planning. The lack of access to medical assistance and family planning can be reduced. Almost since the beginning of the conflict, the issue of humanitarian aid access routes has bogged down repeated peace talks and negotiations between the warring parties. This issue triggered the collapse of peace talks last year. With deep distrust of one another, neither side is willing to compromise. According to the HRW’s women’s rights emergencies researcher Skye Wheeler, both warring parties must do more to break this aid delivery deadlock. “The Sudanese government and armed opposition need to put the people first, and should immediately smooth the way for impartial and independent aid agencies to reach the area,” she said in a press release.